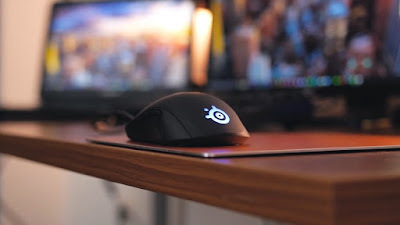 How to turn Android to Mouse - Make your an Android phone as a wireless mouse. Probably you ever hear to control your PC that using GNU/Linux as operating system such as Ubuntu and derivatives from our Android device. I will teach you how to do this. We can turn the Androids into powerful Linux remote controllers, make as a Peripheral Device such as a mouse or keyboard, controlling the audio (play, pause, mute, next, and etc). There are many Android app we can use and choose. The choice is free or paid. Do not worry, I'll share this you for free without pay at all by using DroidMote. OK! In the previous paragraph, I've told you to use Android apps named DroidMote. This app lets you turn your Android into a mouse, keyboard, gamepad or a joystick. Of course, you need the server (your computer). It's a free version (to control the computer from an Android device). If you looking and need to perform Android to Android remote control, you’ll need a different server app that isn't free / paid version. Step 1 - Open Google Play Store from your android phone. 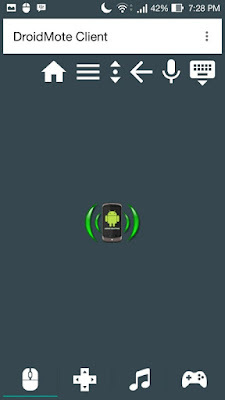 Step 2 - Search and download DroidMote Client. 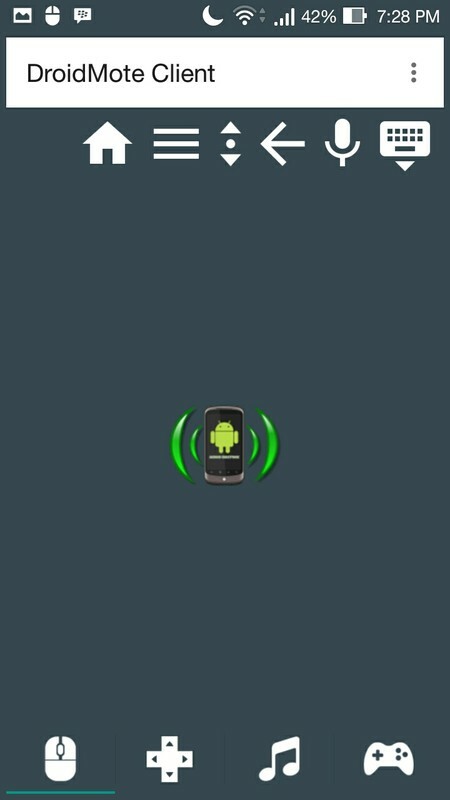 Or click this link DroidMote Client. Step 3 - Download DroidMote server for your Linux PC. Step 4 - Cause compressed in .tar then you must extract the package first before make your computer as a server. Step 5 - Once extracted you'll have two files. It's the app and the text guide file how to run it. Step 6 - You need to disable the firewall on port 2302. 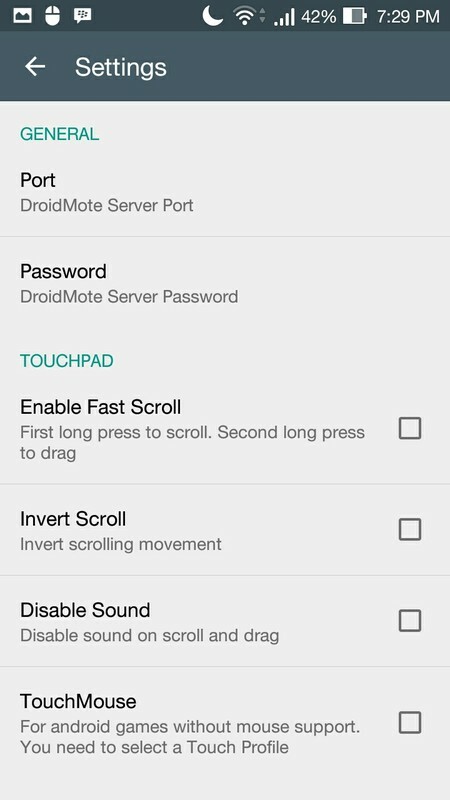 Step 7 - Open DroidMote Client that installed on your phone. Step 11 - Open menu located at up corner of the app. Then tap on Setting menu. Step 12 - Tap on Password and fill with our password set before. In this case, the password is GARUK-2silit. For others settings, you can set it with your needs. Step 13 - Go back then tap on Android icons or free places. 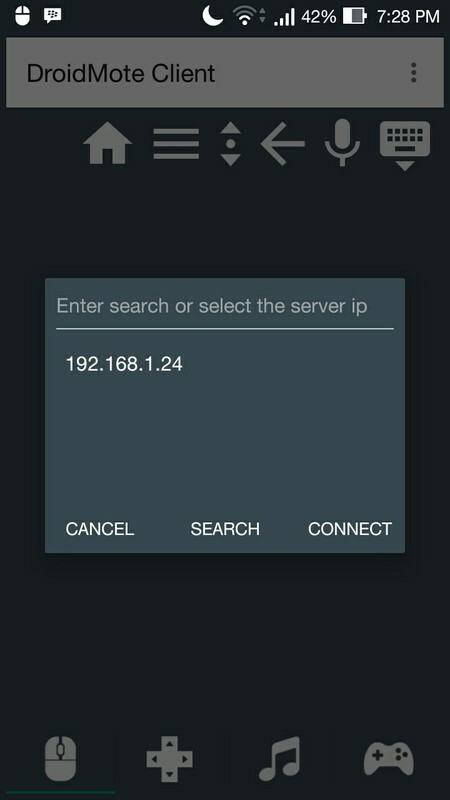 Step 14 - Now tap on IP address that you entered. 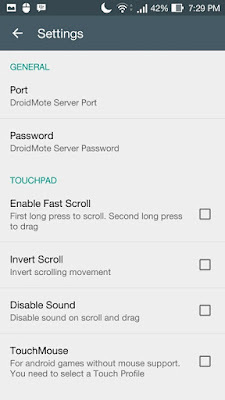 So that's all I can write about linux remote control software to android app to control your Linux PC as mouse, keyboard, multi touch trackpad, touch screen and a gamepad with 16 buttons and 6 axis that also uses the accelerometer of your client device. I hope this post be the answer for your question and can be your solution. Hope too you've enjoyed reading this tutorial as much I’ve enjoyed writing it. Thanks for visiting us.